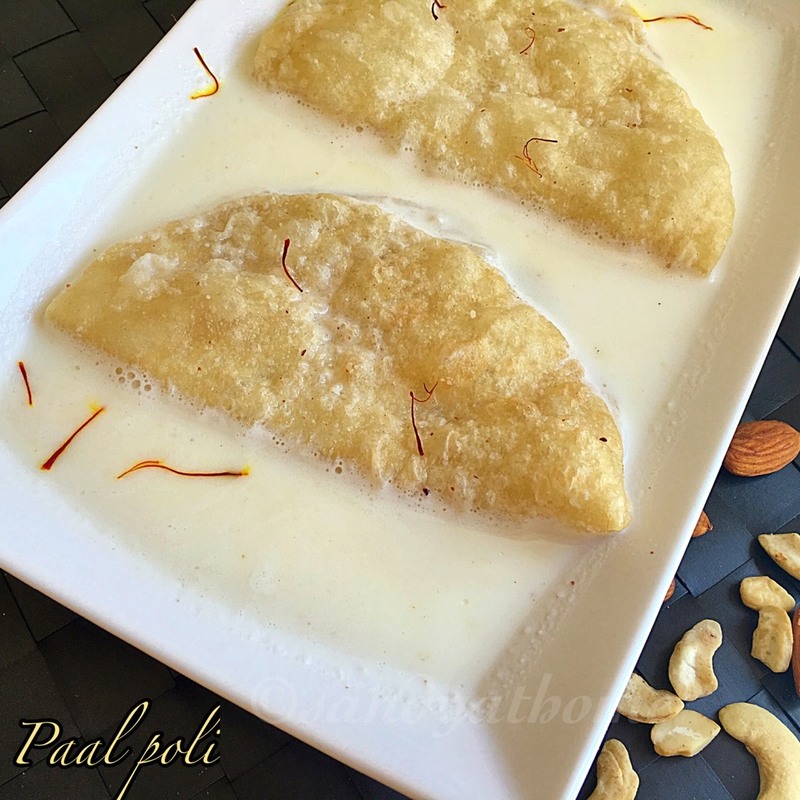 Coconut poli/ bobbatlu is a sweet recipe with coconut stuffing prepared usually during festivals in India. 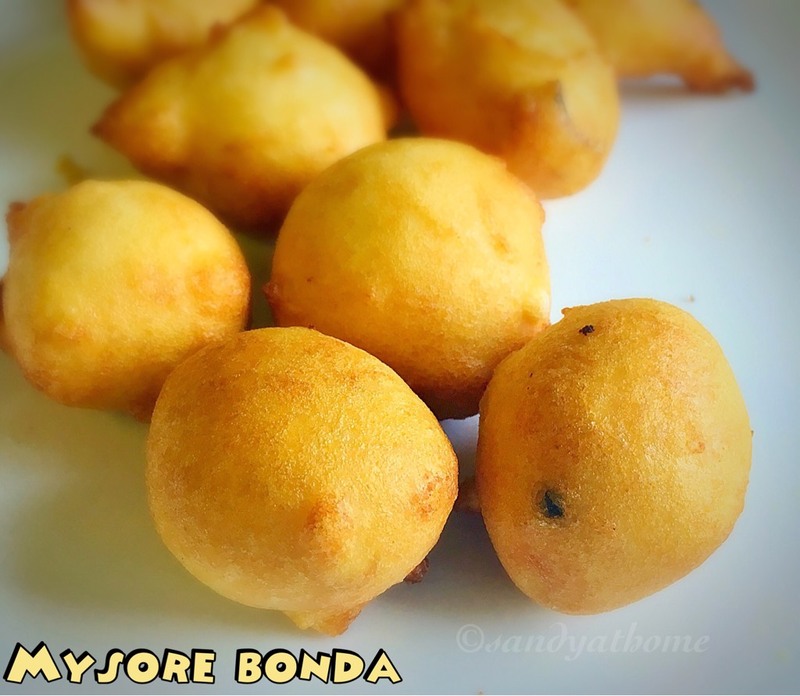 I like the poli /bobbatlu when they are really soft so for this recipe i added few drops of oil to soak the dough for extra softness and flattened the poli /bobbatlu with fingers without using rolling pin. 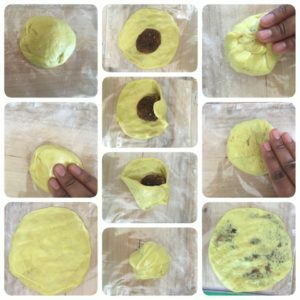 This method has given me soft, tasty and perfect poli/bobbatlu for years than regular rolling method and has always kept it soft for long time. So lets get to the making! In a bowl add maida, turmeric, salt and oil. 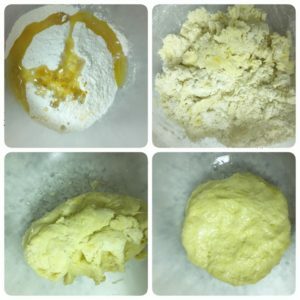 Mix everything well and add water gradually to it and knead it into a soft dough. Then add 1 tbsp oil to the dough so that it becomes even softer. Heat oil in a pan add coconut and saute for few seconds then add jaggery and cardomom powder to it and mix well. 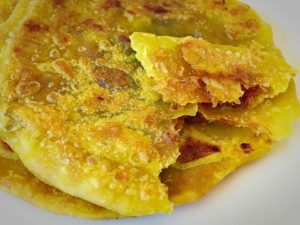 Let the jaggery melt and when the mixture becomes thick and has poornam appearance remove from flame and allow it to cool. Now take a ziploc cover or banana leaf and apply some oil over it. 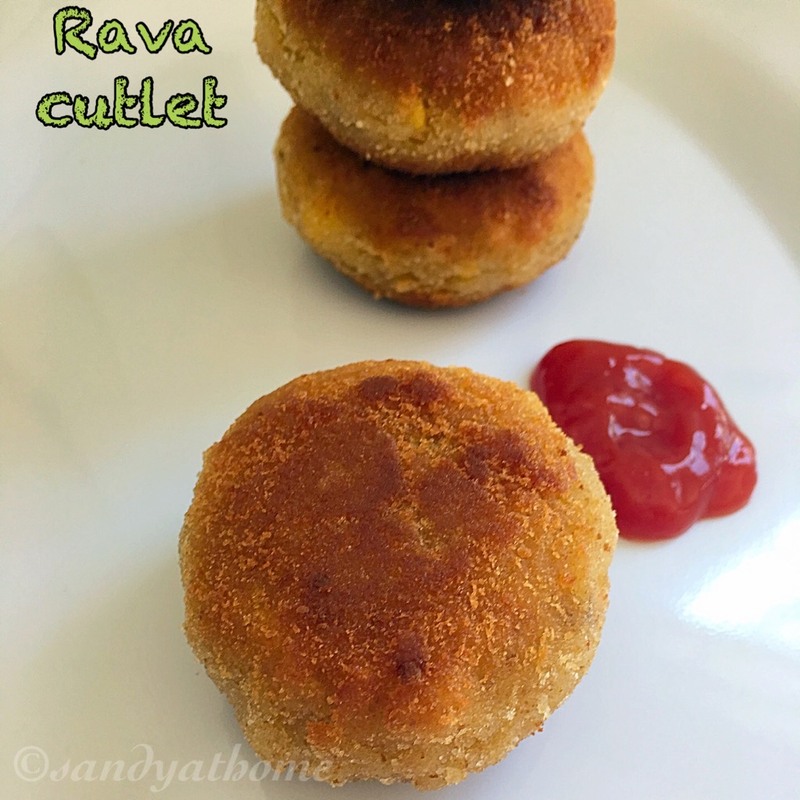 Place small ball of dough in it and flatten it with your fingers. Now place a small ball of pooranam in the center of the dough and pleat it well so and seal it so that the pooranam/ stuffing stays in. Now apply some oil in your fingers and flatten it again into round shape. 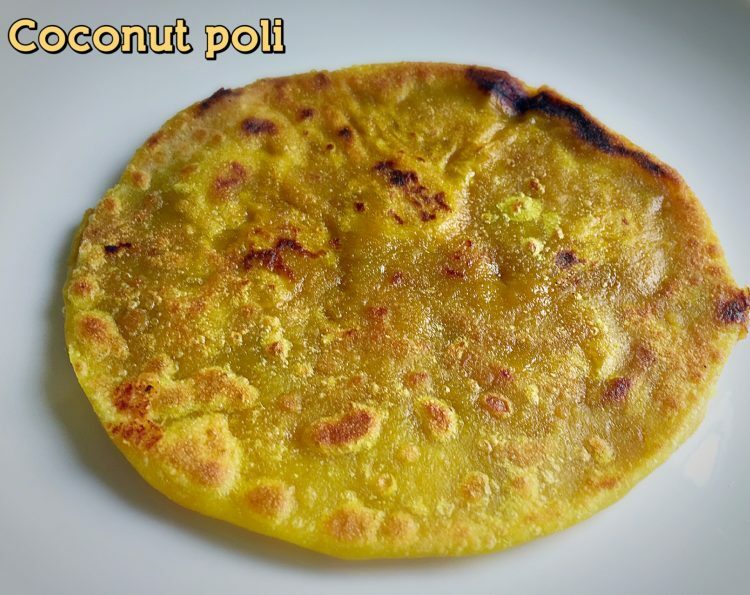 Heat a tawa and slide the poli from ziploc to your palm and place the coconut poli gently in the tawa and drizzle ghee around it. 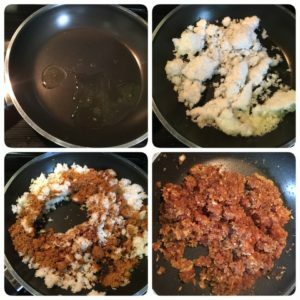 When you see brown spots on one side flip it carefully and cook till done.Serve it hot!